Sustainable’s Founder started the business to pursue a lifetime passion for sustainable architecture, sustainable construction and sustainable communities. He wanted to target a market segment and strata previously untouched and against a climate industry apathy and short-term government thinking. That niche was to develop a specialised, integrated package of design, construction, landscaping and masterplanning to assist clients and prospects. Put simply, Brett wanted to offer the most extraordinary, sustainable and risk-free method of building yet seen in Queensland, to individuals in either Brisbane’s most exclusive suburbs or the beautiful beaches of the Gold and Sunshine Coast and the breathtaking Southern Downs of QLD. Brett McKenzie’s ethos is to sustainably create and build homes that complement your site and work in harmony with the environment. Brett not only has a passion for sustainability in terms of sustainable home design and construction, he also extends his passion into sustainable landscapes, sustainable schools and sustainable communities. Particularly the regional communities that he believes we must not forget. Brett’s vision is to provide sustainable homes and communities in both cities and regional and rural areas to benefit both the communities, tourism and employment opportunities. He has founded and succeeded in creating a company that not only lives and breathes sustainability, but one that practices what they preach! Not only does Sustainable utilise sustainable design principles in terms of the design of houses including passive design, orientation, solar access, ventilation etc, Sustainable utilises sustainable construction principles, including recycling all building waste, utilising environmentally friendly materials and practices and also reusing products from deconstructed buildings. How many builders do you know that do this? His 30 year long-term, continual passion and drive for sustainability is evident in the long-standing national success of Sustainable, winning in excess of 60 high level National and Local Awards; the majority of these for Greensmart Energy Efficiency. The awards range from energy efficient house design to the most innovative use of glass, open class housing to commercial refurbishment up to $2 million for a historical building. Brett McKenzie was born green. He grew up in the Lockyer Valley among a community of farmers. He knew when the sun rose and set and seeing the scarcity and value of water first hand. His family used tankwater. It just made sense. Those lessons, combined with an innate skill for and love of design and carpentry, saw him become supervisor of a building company at just 17 years of age, and then winner of Queensland’s Apprentice of The Year for Carpentry and Joinery. But that was more than 20 years ago, since then, Brett’s extensive overseas building experience (Olympic buildings in Barcelona; Docklands revitalisation UK, Benetton Formula One race car development building, Nuclear-proof communication bunkers), his passion for design, architecture and the environment and a tendency to challenge the status quo, have seen him and his company Sustainable Pty Ltd win awards for over 30 years! 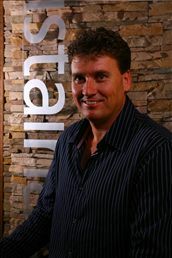 Brett McKenzie and the team at Sustainable Pty Ltd are true advocates for beautiful design, intelligent construction services and a sustainable world.